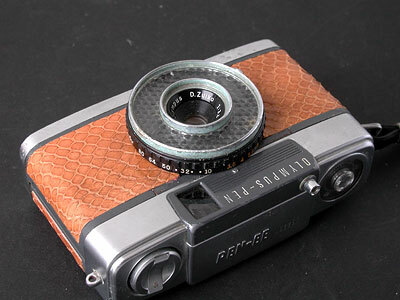 Olympus Pen Series custom coverings. 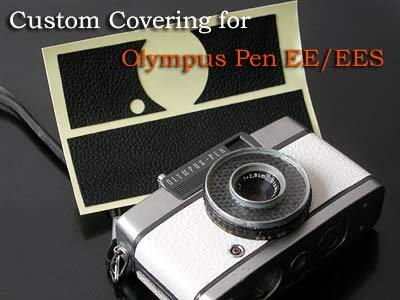 This is the custom kit for exchanging Olympus Pen S, EE/EES, EE2/EE3/EES2, D's covering. 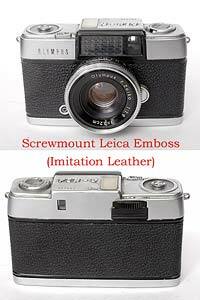 Click the images for enlarge. 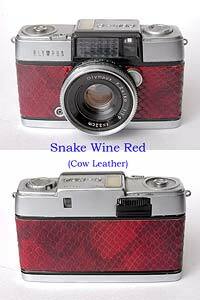 Self adhesive , when you apply to your camera, you do not need glue. 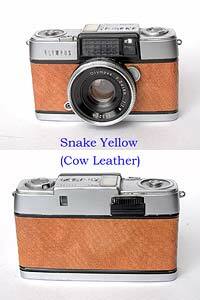 Please Click Here to find our material/color list. 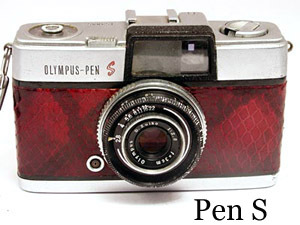 Please specify your Pen's model. 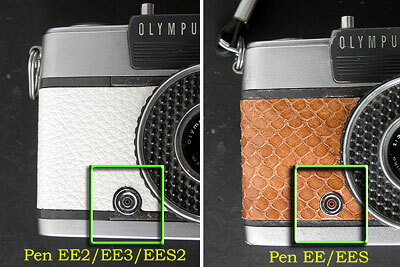 As for Pen EE2/EE3/EES2 and Pen EE/EES, these cameras' appearances are very close. 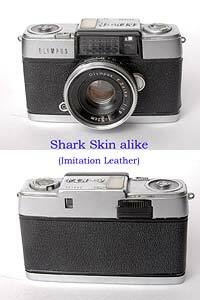 Difference is Strobe Connect Point. The price is 8 USD per 1 kit. 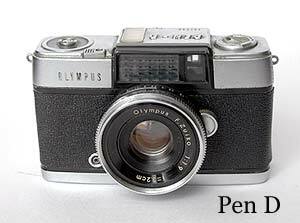 Please choose your Pen's Model and Color from downbox on the right.